When Google first launched Glass a couple of years ago, it seemed like a revolutionary product that would change how we interact with technology on a daily basis. However, growing privacy concerns and questions about practicality eventually made Google cancel future development of the product. Now, it’s back but with a different focus, this time on the enterprise market. As Alphabet X, which is Google’s “Moonshot” branch, just announced a new version of Glass, called Glass Enterprise Edition. As the name suggests, the new version won’t be aimed at the public at all, and will instead be offered towards workers so that they can do their jobs better. As mentioned earlier, Google closed the Google Glass website back in 2015, thanking users for “exploring with us,” while promising that “the journey doesn’t end here.” While Google Glass wasn’t available for purchase to the public anymore, the company did continue to send units over to companies like GE, Boeing, DHL and AGCO. 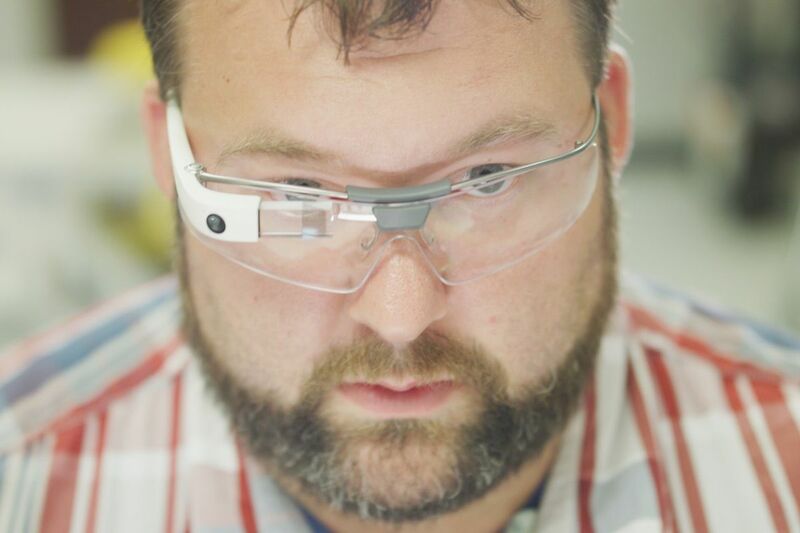 Interestingly, AGCO saw a reduced production time of 25 percent when using Google Glass; alongside DHL, who saw an increased supply chain efficiency of 15 percent. Google Glass also works better for healthcare professionals, as it reduced paperwork loads by over 20 percent, and allows doctors to spend about 50 percent more time with patients. Google is also bringing developers in to take advantage of Glass’s main features: the fact that it’s hands-free, lightweight and unobtrusive. For instance, DHL is using a custom solution called Ubimax to “receive real-time instructions about where items have to be placed on the carts with the help of visual aids,” says Kothari. When looking at GE, they use a program from developer Upskill “which shows [workers] instructions with videos, animations, and images right in their line of sight so they don’t have to stop work to check their binders or computer to know what to do next,” Kothari adds. Healthcare professionals use Augmetix’s “remote scribe” app to take notes in the background about patients. They also use another Augmetix app, which has cut record keeping chores by up to two hours a day. It is still unclear if Google Glass will go on sale to the public again, although the team that is in charge of the consumer version is still alive and working, so don’t count anything out just yet. However, Glass Enterprise edition is “now available to more businesses through out network of expert partners,” according to Alphabet. There is still no word on price, however.